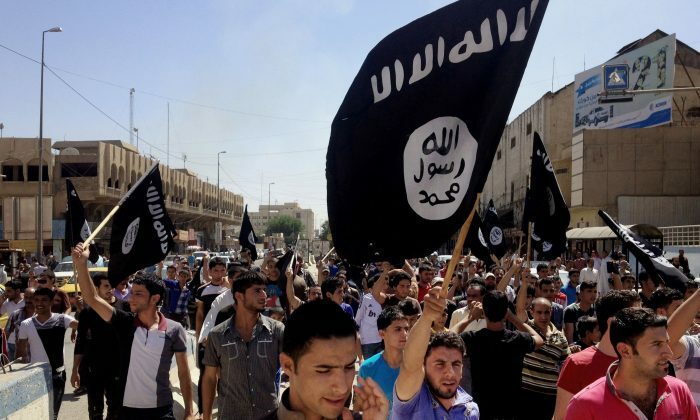 A top Iraqi diplomat said Tuesday that the Islamic State is harvesting organs from its victims to help finance the terrorist organization’s operations. And while it sounds horrific, it’s unlikely ISIS is operating on the same scale as the Chinese Communist Party. It’s unclear how the Islamic State is doing the procedures, if the victims are civilians or enemy fighters (or both), or where the organs are going. The Islamic State has shocked many with its gruesome execution videos, depicting the beheadings of hostages, crucifixions of soldiers, and burning people alive. In this context, it wouldn’t be surprising if the terrorist organization was also involved in harvesting organs from living people. The Iraqi diplomat Ambassador Mohamed Alhakim made the claims of organ harvesting at a meeting during the United Nations Security Council, of which China, Russia, and the United States are permanent members. He said bodies missing organs such as livers with surgical incisions were found in mass graves, and he claimed they’re being sold off to help finance the group. In China, where allegations of forced organ harvesting first emerged in 2006, organs are being sold in state-run hospitals to wealthy Chinese and foreigners for upwards of one hundred thousand or even two hundred thousand dollars. The victims are prisoners of conscience, primarily practitioners of Falun Gong, a spiritual practice that’s been persecuted in China since July 1999. China has been a global hotspot for organ transplantations and transplant tourism since 2000, with organs obtained from the labor camp system amid a sea of human rights abuses and crimes against humanity. Ethan Gutmann, China analyst and human-rights investigator who authored “The Slaughter: Mass Killings, Organ Harvesting, and China’s Secret Solution to Its Dissident Problem,” estimates that as many as 65,000 Falun Gong practitioners, and 2,000-4,000 Uyghurs or House Christians have been victims of forced organ harvesting. In a report by al-Monitor, Alhakim said ISIS is harvesting and transporting organs out of one hospital in Mosul, Iraq, which has been controlled by the Islamic State since last year. The organs are then smuggled into Syria and Iraq and into nearby countries like Saudi Arabia or Turkey, the report added. Criminal gangs then sell them on the black market across the world, said the Assyrian International News Agency. “Selling human organs for profit is not a pretty subject. In China, thousands are killed every year to supply vital organs to this very lucrative industry. Both military and civilian hospitals are doing the dirty work, and the government knows about it,” wrote David Kilgour, a former Canadian Member of Parliament and human rights investigator, for Epoch Times. “The most chilling part is that the prisoners are still alive when their bodies are cut open, and screams have been reported during the surgeries,” he wrote. After that, the organs are immediately taken to a hospital and transplanted to patients who are waiting. China has admitted to taking organs from prisoners, saying that the number of those executed amounts to about 2,000 each year. However, the yearly number of organ transplants exceeds 10,000 a year. A stabbing victim was whisked off by Chinese police to an unknown location, where a secret autopsy was performed. The family believes the man's organs were stolen.